Planning an event in Penzance? This bed & breakfast has facilities measuring 40 square feet (4 square meters), including a meeting room. Free self parking is available onsite. Stay in one of 72 guestrooms featuring flat-screen televisions. Complimentary wireless Internet access keeps you connected, and digital programming is available for your entertainment. Private bathrooms with shower/tub combinations feature complimentary toiletries and hair dryers. Conveniences include desks and coffee/tea makers, and housekeeping is provided daily. Featured amenities include express check-out, complimentary newspapers in the lobby, and dry cleaning/laundry services. Planning an event in Penzance? This hotel features 377 square feet (35 square meters) of event facilities. Self parking (subject to charges) is available onsite. With a stay at Whiteways Guest House, you'll be centrally located in Penzance, walking distance from Market House and close to Penlee House Gallery and Museum. 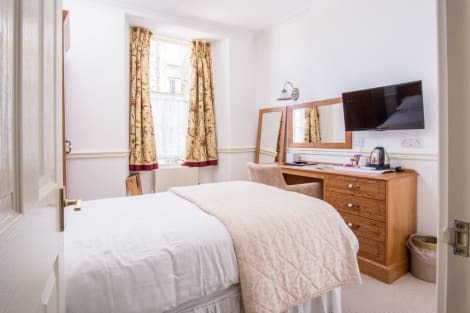 This bed & breakfast is within close proximity of St. Michael's Mount and Chysauster Ancient Village.Rooms Make yourself at home in one of the 11 guestrooms. Bathrooms have complimentary toiletries and hair dryers.Dining A complimentary full breakfast is included. This charming hotel is located in Cornwall. This cosy property guarantees a quiet stay as it counts with just 4 rooms. Pets are not allowed at this property. Make yourself at home in one of the 5 guestrooms featuring DVD players. Bathrooms have showers and hair dryers. Set in Penzance, The Fountain Tavern features a bar. This 3-star hotel offers free WiFi. A buffet, Full English/Irish or vegetarian breakfast can be enjoyed at the property. You can play darts at the hotel. St Ives is 14 km from The Fountain Tavern. Land's End Airport is 14 km from the property. Located in Penzance, Engine Inn is within a 15-minute drive of Porthminster Beach and St Ives Harbour. 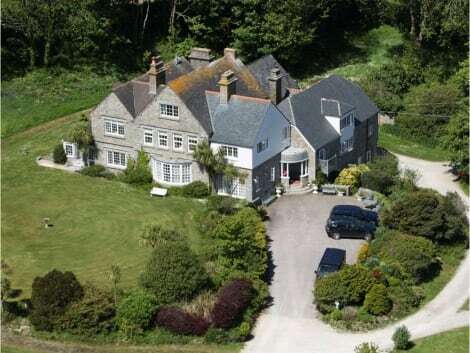 This inn is 5.3 mi (8.5 km) from St. Michael's Mount and 14.9 mi (24.1 km) from Minack Theatre. Spend a little time wandering through the narrow streets of Penzance and you'll soon get a taste of the real Cornwall. This market town is steeped in history and surrounded by some of the most spectacular coastal scenery on offer anywhere in Britain, ensuring visitors come in their thousands every year to soak up the atmosphere of this special place. If you're planning to spend a few days in Penzance, why not take a closer look at the range of Penzance hotels and accommodation options available through our website. Art lovers will be in their element in this part of Cornwall. Penlee House Gallery and Museum specialises in Newlyn School and early St Ives artists, while a few minutes down the road, Newlyn Art Gallery aims to showcase the best of national and international contemporary art. Other options in Penzance include PZ Gallery, Cornwall Contemporary and The Exchange. Consider a day out to St Michael's Mount, a magical island set in Mount's Bay. The island's medieval castle, Norman church and colourful garden can be reached by foot from the town of Marazion via a causeway at low tide. You'll need to drive about 20 minutes to the south coast of Cornwall to find The Minack Theatre near St Levan. This incredible open-air theatre has been carved into the granite cliffs of Porthcurno and stages a full summer season of theatre between May and September. Penzance enjoys a mild climate throughout the year, so there's a big emphasis on making the most of everything the outdoors has to offer. Why not lace up your walking boots and tackle part of the South West Coast Path. The route heads out of town past Battery Rocks and follows the shoreline towards Newlyn. Pay a visit to the west coast to find Cape Cornwall Golf and Leisure with its par-69 course. Adventurous souls looking for an adrenaline boost can visit Kernow Coasteering in Penzance to have a go at everything from cliff jumping to rock-hopping along the Cornwall coast.